Pet Dominion is excited to offer therapeutic services through Canine Rehabilitation Associates at our facility in Rockville, MD. Our state-of-the-art canine rehabilitation facility is equipped with exercise equipment, therapeutic modalities, and trained canine therapy doctors and technicians who strive to improve the quality of life for your dog. 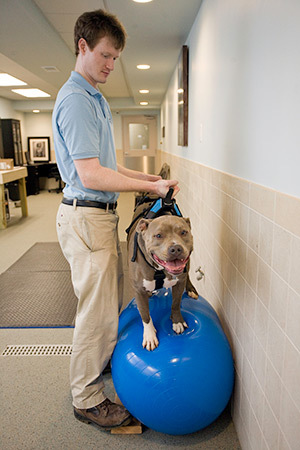 Pet Dominion’s owner and medical director, Dr. Michael Bassett, is a certified Canine Rehab Therapist through the Canine Rehabilitation Institute (CRI). His son, Justin, is a vet tech with a doctoral background in human physical therapy who is also a certified Canine Rehab Therapist through CRI. What can canine rehabilitation offer your dog? 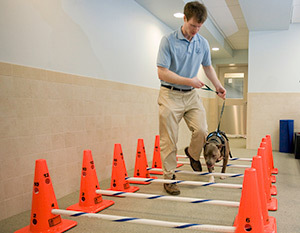 Canine rehabilitation is skilled physical therapy aimed at improving the quality of life for your dog through specific exercise techniques and pain relieving modalities. 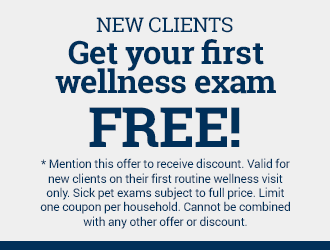 We specialize in providing therapeutic exercises and use of pain management modalities to treat a wide variety of canine patients from geriatric dogs with osteoarthritis to dogs who are post-surgery and dogs with traumatic injuries. 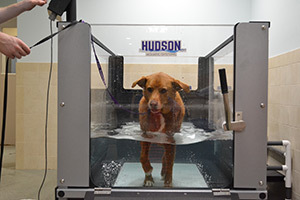 The Underwater Treadmill: UWTM is a treadmill that uses the properties of water to make walking easier on the joints for your dog. Laser Therapy: Laser Therapy is a therapeutic modality that effectively reduces pain or discomfort by speeding up the cellular metabolic activity, improving blood flow, and releasing pain-reducing endorphins at the injury site. Therapeutic Ultrasound: A pain-relieving modality that is useful for treating chronic conditions, tendonopathies, and tendonsis. Therapeutic ultrasound can also be used to loosen up muscle scar tissue to improve your dog’s range of motion. Ultrasound phonophoresis is an additional feature of the therapeutic ultrasound that effectively reduces inflammation in deep tissues by non-invasively pushing topical steroid through the skin to the inflamed target tissues. This treatment is great for treating tendonitis. Neuromuscular Electrical Stimulation: NMES uses a small amount of electrical current to activate muscle contractions in dogs that have severe muscle weakness and atrophy. Transcutaneous Electrical Nerve Stimulation: TENS is a therapeutic modality that is used to treat muscle and deep tissue pain by stimulating endorphins and inhibiting nerves that send pain signals. TENS is effective at decreasing pain levels in your dog’s deep tissues. Physical Canine Therapy: Includes all the trained therapy skills provided by the Canine Rehab Therapists and therapist assistants aimed to improve your dog’s function and quality of life. These skills include: massage to loosen up muscle and/or scar tissue; therapeutic exercise to improve strength, balance, proprioception and overall coordination; and manual therapy that includes passive range of motion of the joints to aid in overall joint mobility.